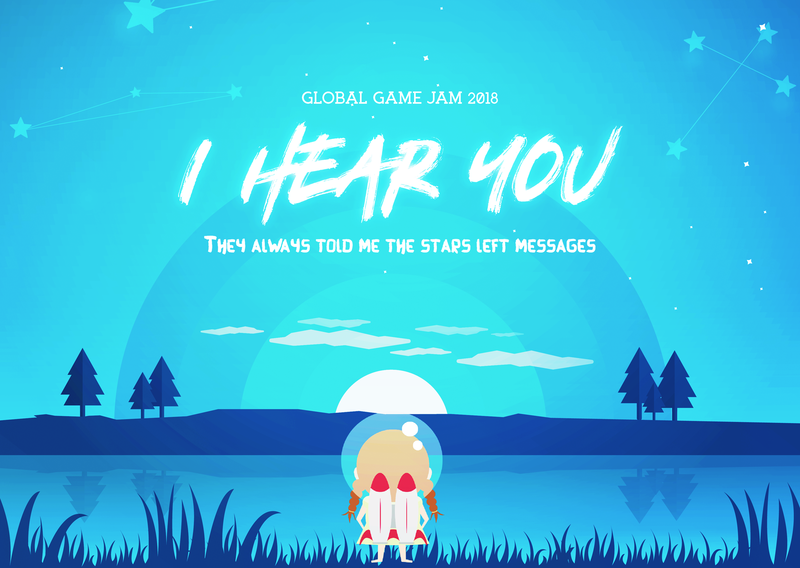 This game is about talking to dead loved ones. Equipped with a portable radio station a little girl is sending waves to the universe. The loved dead ones (a.k.a. the stars in the sky) are responding with waves. Each star is a syllable of words in a message. The player now has to move the girl around and remix the sounds to hear the syllables of the words clearly and to rebuild the message. The game plays different in each language. Use the "Arrow keys" on your keyboard to control the player. Hit "Space" to activate the transmission and listen carefully for the response of the stars. 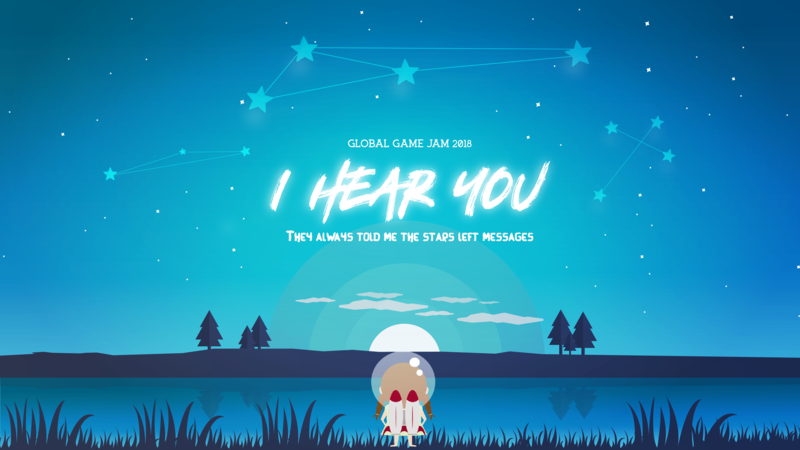 Try to guess the sentence and click on the stars in the right order to continue to the next level (click on "I Hear You" for submitting your guess). To proceed through the transition poems in between levels, hit "Space." 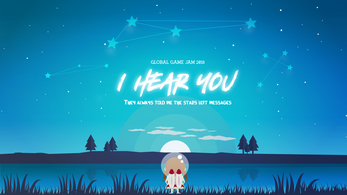 I Hear You is available to play in 7 different languages: English, German, French, Korean, Chinese Mandarin, Chinese Cantonese and Tagalog. Poems by Emily Dickinson. Star Graphic Icon made by www.flaticon.com.